Iconic images of astronomical pillars of gas and dust, views of galaxies soon after they were formed, an accelerating universe driven by Dark Energy… “give us more!” say the public and the taxpayers. 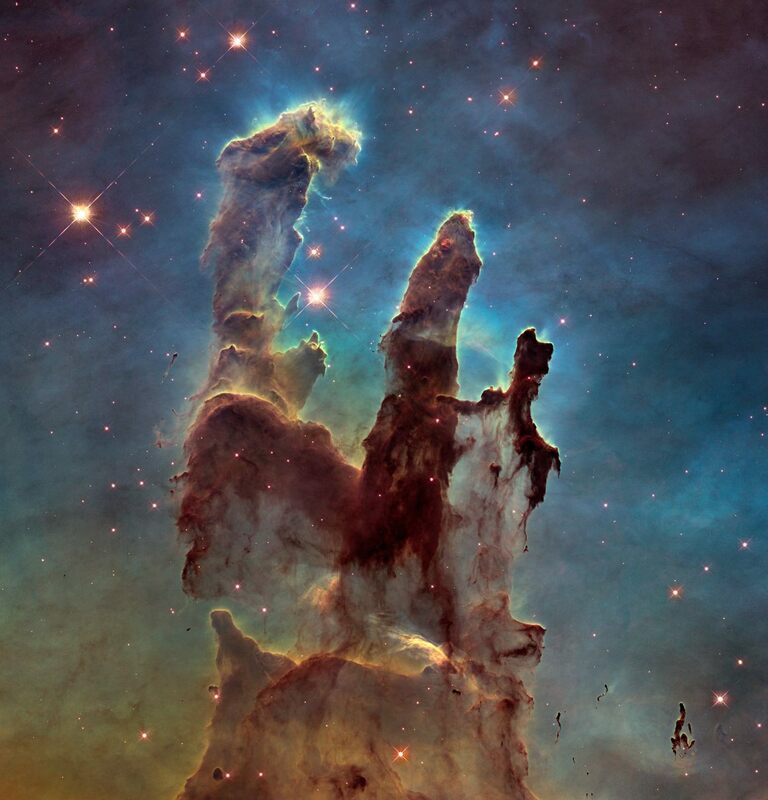 The Hubble Space Telescope is undoubtedly one of the most popular science projects today. It was not always thus. With its origins dating back to a time when almost all astronomers used photographic plates to record images at ground-based telescopes, the idea of an ambitious and expensive observatory in space was not a popular one. 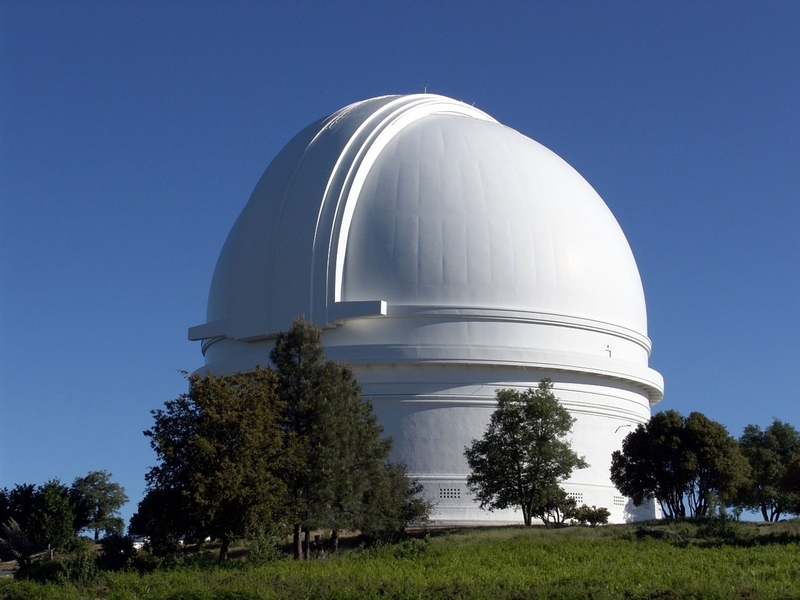 Palomar Observatory, firmly rooted to the ground. 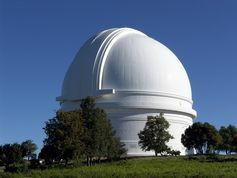 The most influential astronomers of the 1960s thought it better to spend the money on 15 copies of the 200-inch giant on Palomar Mountain, rather than gamble all on a single telescope in space that was not as large. 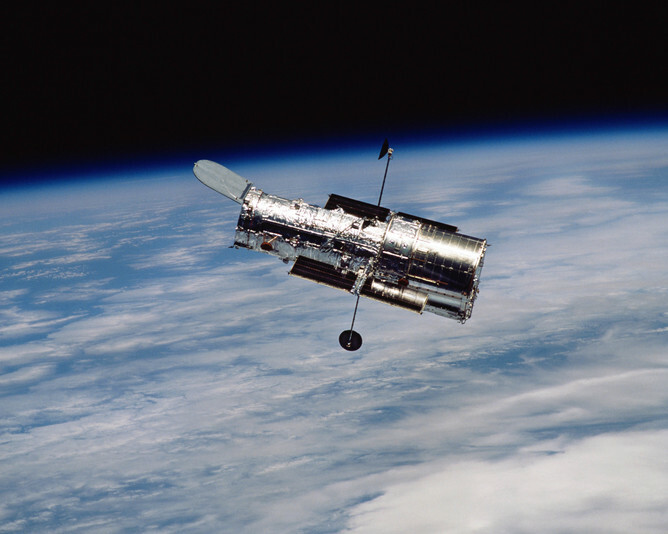 Nevertheless, NASA held out the Hubble as a long-term goal. By the early 1970s, things began to change as preliminary designs for the spacecraft were generated and my colleagues were educated about the Hubble’s potential. This space-based telescope would be able to make images of a step up in quality that was as great as Galileo’s application of the first astronomical telescope was to the view with an unaided eye. It would detect stars and galaxies that lay beyond the limit of faintness of giant ground-based observatories. I left my professorship at the University of Chicago in 1972 to become the scientific leader of the proposed project and considered the gathering of scientific support my most important immediate job. Finally the idea caught on and scientists and groups from most of the major observatories in the US and Europe became involved with building the observatory, its individual scientific instruments, and planning the science to be done. From widespread skepticism, the situation changed to astronomers not wanting to miss the boat. The Hubble Space Telescope was designed to be able to probe deeper into the universe’s past than anything based on the ground. The first few years were spent in preliminary design of many types of scientific instruments, using competitively selected scientists. As we moved into the selection of teams to build the instruments, we held a new competition. The teams who had proposed the most modern approaches were selected, leaving behind some people involved since the earliest studies. Polishing Hubble’s eight-foot diameter mirror, designed to focus the faint light the telescope would encounter in space. Hardware began to be built in 1977, even before the Hubble was funded by Congress in fiscal year 1978. Preparations proceeded on the bumpy and expensive path that would lead to its being ready for launch in late 1986. But then the space shuttle Challenger accident occurred and several years of delay ensued as the Space Transportation System came back into operation. Hubble eventually hitched a ride to space onboard Space Shuttle Discovery in April, 1990. On the right is part of the first image taken with NASA’s Hubble Space Telescope’s Wide Field/Planetary Camera. Compare with a ground-based picture from Las Campanas, Chile, Observatory of the same region of the sky. Within a few weeks it looked like those early skeptics were the wise ones amongst us. The telescope’s primary mirror had been created with great precision and measured with unprecedented accuracy; but the measuring equipment was misaligned. That error resulted in a mirror that formed a degraded image. Instead of a single sharp core where 90% of the light focused, there was a sharp core with 20% of the light surrounded by a halo. We were pilloried, investigated, and a subject of mean-spirited cartoons. Techno-Turkey was a popular description. However, researchers developed computer programs to accurately remove the halo and the scientific value of the resulting images began to be appreciated. Over the next several years the articles on the Hubble changed from the initial subjects of “how can such a major screw-up occur,“ to lead-ins of “the crippled Hubble has shown this interesting scientific result,” until finally the science stories would simply end with a mention in the last paragraph that the Hubble was working with a flawed mirror, but it was expected that things would be improved after the first servicing mission. 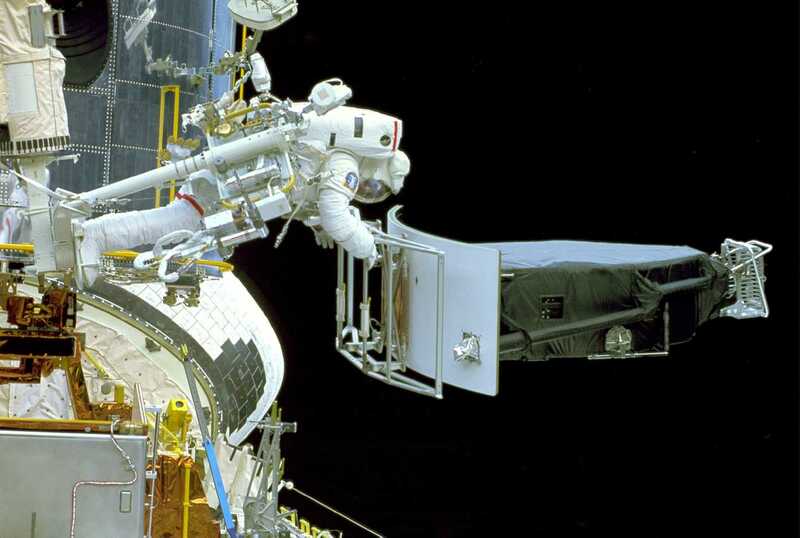 Astronauts remove the Wide Field and Planetary Camera to replace it with its more powerful successor, Wide Field and Planetary Camera 2, during Hubble’s first servicing mission in 1993. And improve they did with the servicing mission of December 1993. That success reflected the finest hours (years actually) of NASA and Aerospace engineers and managers, the Space Telescope Science Institute and the Astronaut Corps. The scientific instruments were housed in easily changed-out boxes. 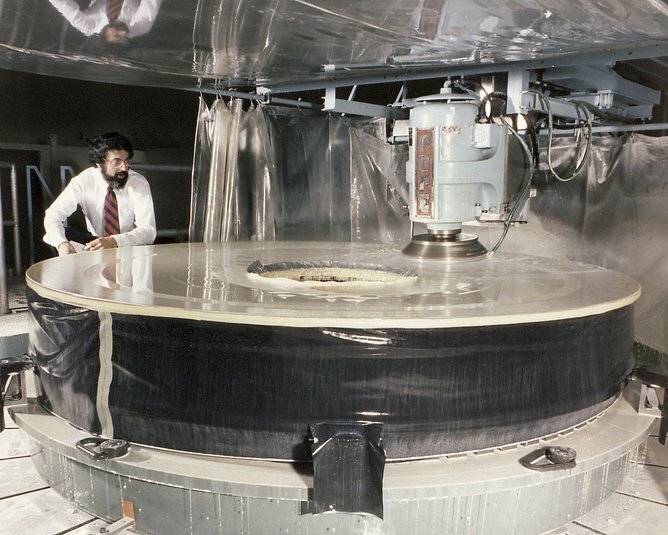 An empty instrument box had been made before the 1990 launch to be used in case one of the scientific instruments was not ready in time. This box was altered to house a set of mirrors that would correct the convergent light beam coming from the flawed primary mirror so it would reach the scientific instruments in pristine condition. A backup imaging camera was installed that had the correction figured into the internal mirrors that were already part of its design. 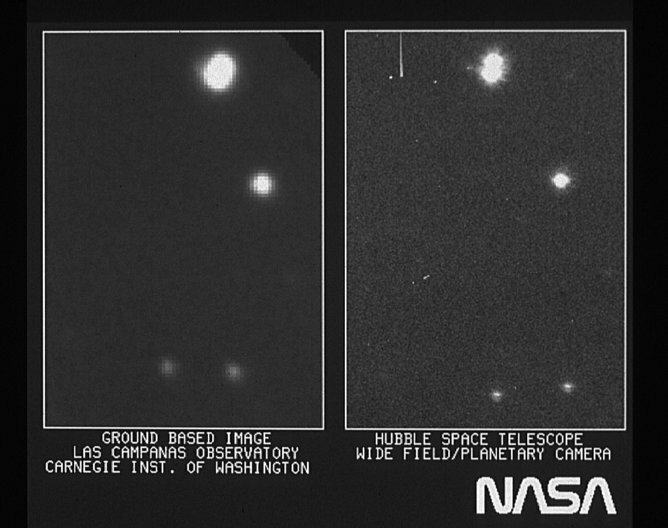 The Hubble was saved and was actually producing images better than we had publicly predicted. 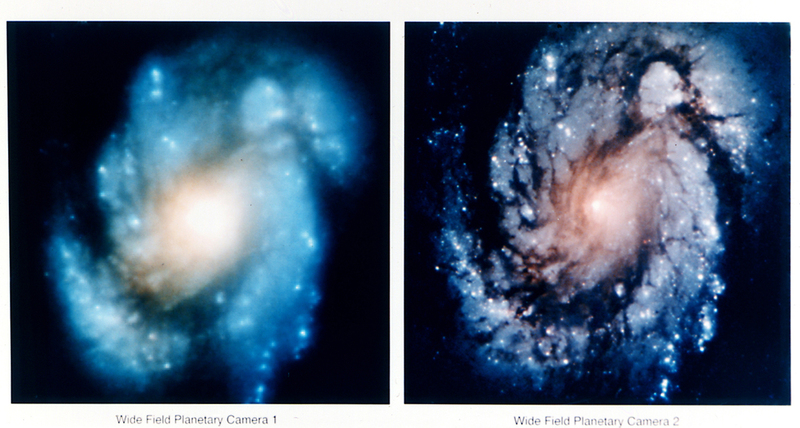 This comparison image of the core of the galaxy M100 shows the dramatic improvement in Hubble Space Telescope’s view of the universe after the first Hubble Servicing Mission in December 1993. Happily, the rest is history. 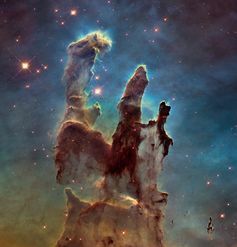 The iconic Pillars of Creation image taken by the Hubble. 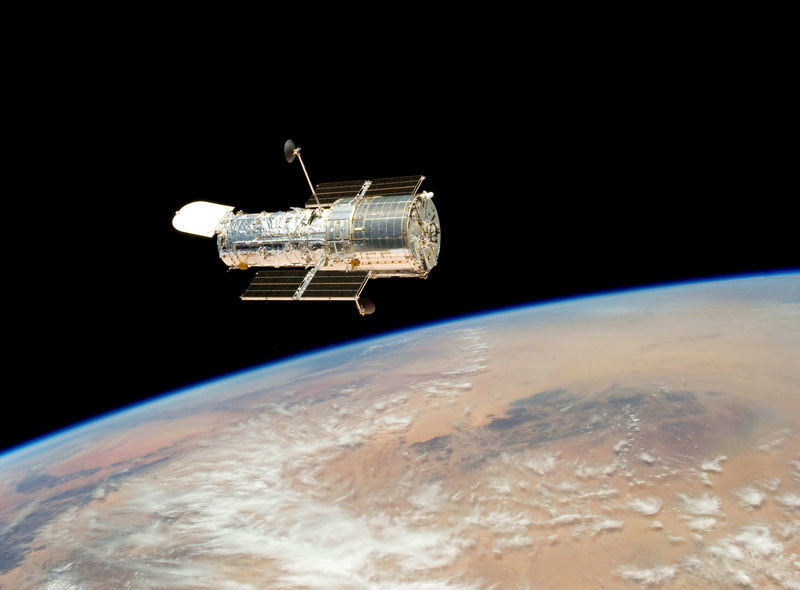 The four additional servicing missions have replaced failed components, repaired instruments in-orbit, and replaced support-equipment (for example the data recorders and computers) and scientific instruments, so that today’s Hubble is more powerful than ever. Without the ability to conduct additional servicing missions, its lifetime will be limited. Whatever time we still have will be welcome, but in any event, the Hubble Space Telescope must be considered a triumph. 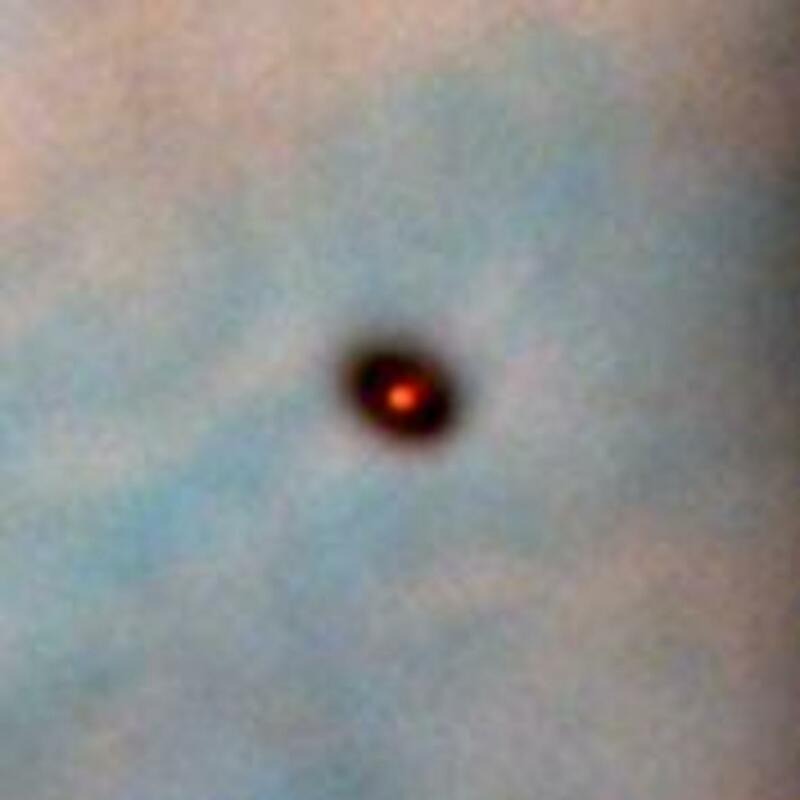 A Hubble image of a proplyd in the Orion Nebula. It has been gratifying to be on the ground floor of the Hubble project and to shape the direction that it’s taken. Engineering images of my favorite astronomical object, the Orion Nebula, were made before that first servicing mission. I was given access to those and in their analysis discovered the objects now called proplyds. These are the circumstellar material and proto-planetary disks surrounding very young stars (ages much less than one million years). Hubble over Earth in 2009. 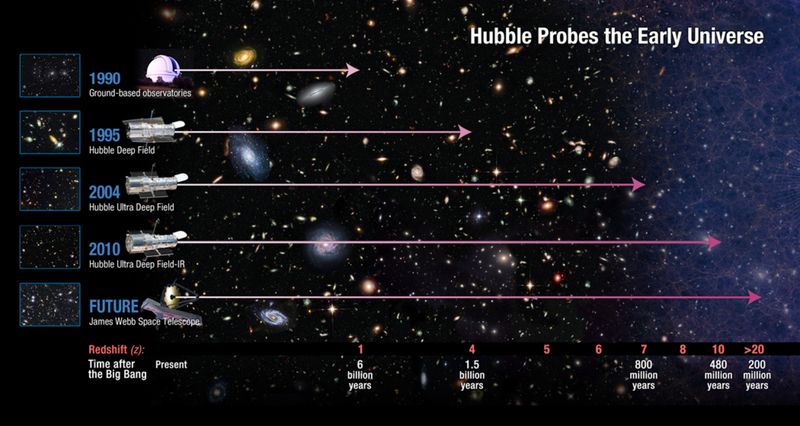 These discoveries started a series of investigations using the Hubble that continues today. I’ve just submitted a paper on the most recent of these for publication. It exploits the fact that the long difference in time between the earliest and most recent images allows us to see changes in the nebula and to trace the matter being expelled from the youngest of the stars in Orion, thus illuminating the process by which stars and their planets are formed. It’s just one of the discoveries we certainly wouldn’t have made by now without a space telescope like the Hubble.